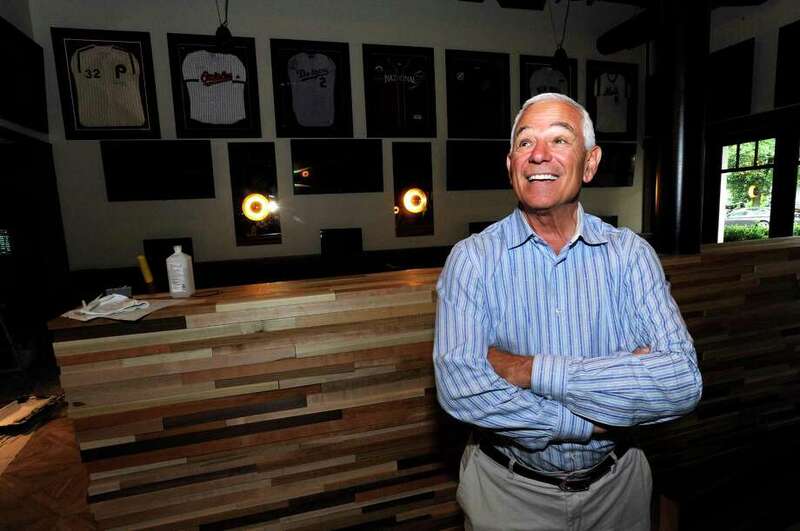 Bobby Valentine smiles as he takes part of the new Bobby V's, a sports bar, restaurant, and OTB lounge in Stamford, Conn., on Friday, June 16, 2017. 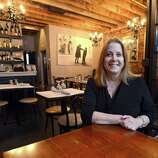 STAMFORD — Bobby V’s is back in business. The new Bobby V’s Restaurant & Sports Bar celebrated its grand opening Wednesday morning at its new location at 268 Atlantic Street, just around the corner from the original Main Street location. 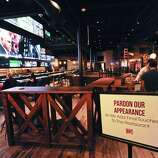 The newly-constructed 25,000-square-foot restaurant, which also contains an off-track betting facility on the second floor, boasts 32 draft lines behind the bar and more than 200 HD TVs for the ultimate sports bar experience. Valentine partnered with New Haven betting firm Sportech on this latest venture in the downtown. It’s his second partnership with the OTB firm after opening a similar venue in Windsor Locks in early 2014. “The benefit here is we get to design the entire building from scratch, whereas in Windsor Locks we built Bobby V’s within an existing business - Stamford is even more impressive, has something for most people, is very family friendly, and our showcase property now” Ted Taylor, Sportech Venues President, said in the statement. The grand opening comes after about a month-long soft opening, starting when Valentine invited about 60 of his friends for an unofficial opening of his new downtown venue to watch the Belmont Stakes.